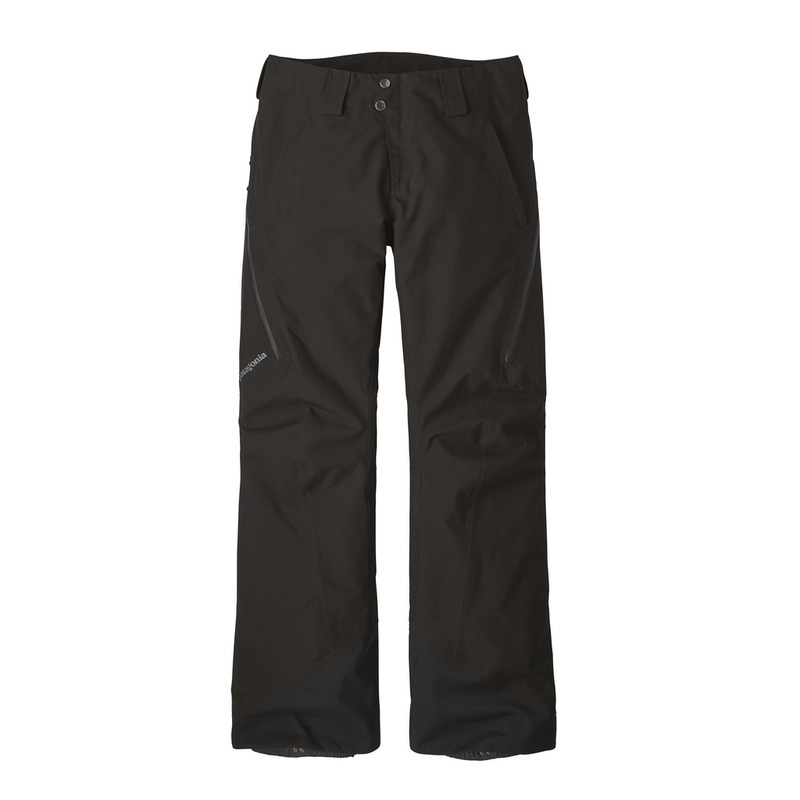 Designed from the inside out with a 100% recycled polyester GORE-TEX® face fabric and a blend of 60-g and 100-g Thermogreen® 100% polyester (90% recycled) insulation for warmth, the Insulated Powder Bowl Pants provide tough, long-wearing waterproof/breathable and windproof protection for skiers and boarders who ride the mountain in all conditions. With a refined fit and clean styling, Powder Bowls are warm, durable yet designed with ease of motion in mind. With a combination of burly fabric and strategically placed insulation, our Insulated Powder Bowl Pants keep you warm, provide tough, long-wearing waterproof/breathable and windproof protection, and do it all without compromising mobility and weight. The durable, 2-layer GORE-TEX® fabric, made from tenacious 100% recycled polyester, provides waterproof/breathable and windproof protection, yet feels light and limber for unmatched performance in any condition. The DWR (durable water repellent) finish stops moisture and wet snow and increases abrasion resistance. Strategically placed, body-mapped 60-g Thermogreen® recycled insulation traps your heat (even if wet) and dries quickly to keep you warm and free throughout the coldest days. To increase mobility and provide natural motion, Powder Bowls have a refined fit, simplified styling, articulated knees, and a polyester-taffeta lining throughout the legs so you can move easily. The waist has a combination of a smooth taffeta lining to wick moisture, grown-on belt loops, a zip fly and adjustable tabs to fine-tune the fit. Other details include watertight, coated zippers with slim zip installation to reduce bulk and weight, mesh-lined thigh vents to off-load heat, an embedded RECCO® avalanche rescue reflector and built-in gaiters with gripper elastic and tough scuff guards. Zippered pockets: two handwarmers, one back and one right thigh. With an articulated, feminine silhouette. Inseam length is 32".